One of the biggest benefits of indie publishing is the freedom it allows authors to assemble the perfect team to develop and represent their books. That includes bringing in the right editors. But what kind of editing help do you really need? You probably know that copyeditors and proofreaders can help you catch things like spelling and grammatical errors. But what about consistency and making sure your story flows? That's where a good developmental editor can be worth their weight in gold. A few months back, I couldn't have even told you what a developmental editor was. I mostly work in nonfiction writing, and they weren't a resource I heard other authors talking about. When I started drafting the first novel in my Murder Scripts series (which I hope to finish drafting this month as a part of NaNoWriMo), I did some preliminary research into editors familiar with cozy mysteries. That's when I came across the website of developmental editor, Kristen Weber. 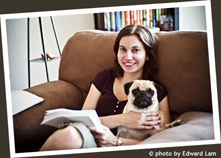 I spent some time on Kristen's site, learning about her role in helping authors develop their stories. I saw that she had worked on books in some of my own favorite mystery series. And I knew right away that when I was ready to bring in an editor for my first Murder Scripts novel, it had to be her. I'm still a few months away from hiring Kristen. I need to finish the draft this month and then spend a few on my own early revisions. But in the meantime, she was kind enough to let me interview her on her area of expertise so other indie authors can get a better feel for what a developmental editor can do for them, and what they might expect in the process. I'd like to offer a huge "thank you" to Kristen Weber for taking part. I hope you all enjoy the interview. Jenn: What can a developmental editor do for an independent author that a copyeditor / line editor wouldn't do? Would you recommend that authors choose one freelance editor who can serve both roles, or do you feel it's more beneficial to work with two editors for their combined perspective? Kristen: Unlike copyeditors—who take a manuscript that has already been developed and subjects it to a more technical process focusing on elements such as spelling, grammar, punctuation and style—developmental or substantive editors are more concerned with the big picture. We look at elements including the voice, setting, narrative structure, and pace to see how it all comes together. Like a doctor diagnosing a patient, developmental editors need to figure out how to help a manuscript reach its full potential, while keeping the author's own voice and vision intact. While some developmental editors do copy edit, I think it is beneficial to receive two separate perspectives on your manuscript. Plus, your manuscript shouldn't be copy edited until the story is 100% bulletproof. I have many potential clients who come to me thinking they only need a copyeditor, but that's like putting a pretty roof on a house that has no foundation. Jenn: What should an indie author look for when choosing a developmental editor for their fiction? Kristen: You should ask anyone you’re considering working with for examples of books they have edited—ideally in your same category. Also ask to speak to other authors they have worked on as references. Jenn: Please tell us a bit about your typical process when working with an independent author on their manuscript. What can they expect in terms of feedback? What kind of turnaround time is reasonable? What should a manuscript go through before being sent to you for feedback? Kristen: Before you send a manuscript to a freelance editor, it should be as perfect as you can make it. That ideally entails a heavy revision of the first draft and maybe even a revision after that once you have a couple of other opinions from (unpaid) readers you trust. You want to make sure you have a manuscript you feel pretty good about and can’t think of anything else to do with. Then you should write something new. An editor is already going to find more problems than you can possibly imagine, and you don’t want to waste your time having them come back to you with all of the problems you already knew about but didn’t fix in addition to everything else you have to revise. When the editors return the manuscript to you, you'll have been away from it for a nice amount of time and will be able to see it with fresh eyes and really absorb their comments (something that is harder while you're mired down in it). I read a manuscript once for fun and then 2-3 more times as I pull together all of my thoughts on it. I'll either mark it up with track changes or send it back with a more complete editorial letter, depending on how many notes I have and what I think the author can handle. I'm available for phone calls, emails, and brainstorming as an author goes through my notes. My help doesn't end with editing though. My goal is to help all my authors get published in whatever way that means for them. So if they want to traditionally publish, I'll help them come up with agents to approach and critique their query letter. If they want to publish independently, I offer ideas on covers, publicists, marketing, formatting and anything else they need from me to help ensure they put out the best book possible. I have had success with authors on both paths, and the only "right" path is the one that's right for you. 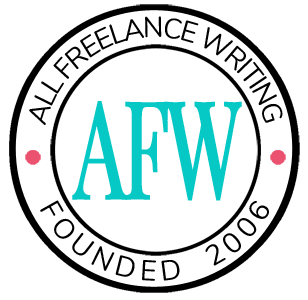 Jenn: Do you feel it is more or less important for an indie author to work with freelance editors, as opposed to authors who are seeking agents? Or is it equally important, just in different ways? Kristen: I think it is especially important for an indie author to work with a freelance editor. I can't tell you how many times authors have come to me because they regretted publishing too quickly. Putting up an electronic book is not the same as independently publishing. You need to recreate the traditional publishing process on your own, complete with editing, a professional cover, and a true marketing plan. I also help many authors who are seeking agents because these days many agents don't have time to edit. Agents want a perfect product they can just send out to publishers. In fact, many agents send clients to me they'd love to take on but their manuscripts need serious editing first. Working with an editor is like taking a course in writing. Many of my clients have told me that I changed the way they write and helped them make all of their future books cleaner from the very first draft. Jenn: What is the most common mistake you've seen new authors make in their early drafts? If you could give first-time indie authors one tip or bit of advice on how they can improve their work before investing in an editor, what would you tell them? Kristen: I don't like to think of anything as a mistake. Writing is a learning process. Sometimes the first manuscript you write is just the one where you learned to write. My number one tip is to read in the category you’re writing in—and also outside of it. I've had authors confess to me that they don't really read, but that is never a secret. I can tell from your manuscript. It’s also important to see what other writers are writing and to have a good sense of the marketplace. If you need reading suggestions visit ShelfPleasure.com, my brand new destination spot for readers. I started the site as a friendly place book lovers could visit for a sense of community and recommendations they can trust. Kristen offers writers on her website at http://www.kristenweber.com. You can also follow Kristen on Twitter @kristenwEditor and on Facebook (https://www.facebook.com/KristenWeberEditorialServices). Brilliant interview Jenn; I mentioned it on my writing blog. Kudos to both you and Kristen. Self-publishing is wonderful, but it’s becoming harder to get attention. Writers need all the help they can get. A writer who’s ready for a developmental editor will be thrilled at how much better the process (even if it’s painful) makes his book. Writing is learning. That’s the biggest benefit of working with a developmental editor: what you learn. What a great article (and this fellow here is a huge fan of Kristen Weber.) I’m one of those birds who hired Kristen Weber and I agree that her help was like a course in writing. I needed her like a fish needs water. I was having the most difficult time finding representation for my books and I understand why now. She pointed out what I did well and more importantly, what I needed to improve upon (and there was much, believe me). In fact, I could write you a book on what I learned. I always felt like I had some books in me, but post-KW, I know I do. Soon enough, my first book will be ready for publication and because of Kristen (and the help of a fine copy-editor), I can move forward with confidence in my work. Ultimately, I just wanted to create the best work possible and Kristen truly has helped me to do that. Whether I end up publishing traditionally or not, I’m proud of how my book’s coming together. Thanks, Jennifer (and Kristen). I really enjoyed this. All best to you in your work.